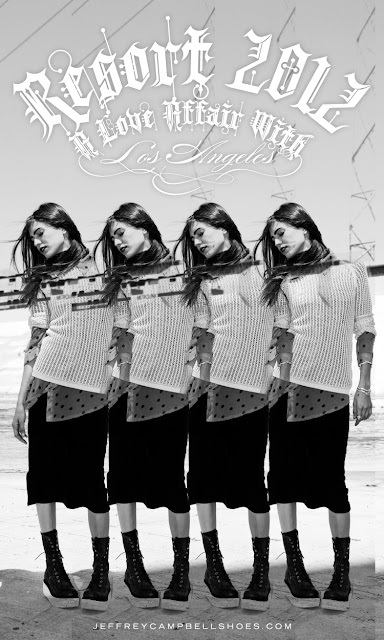 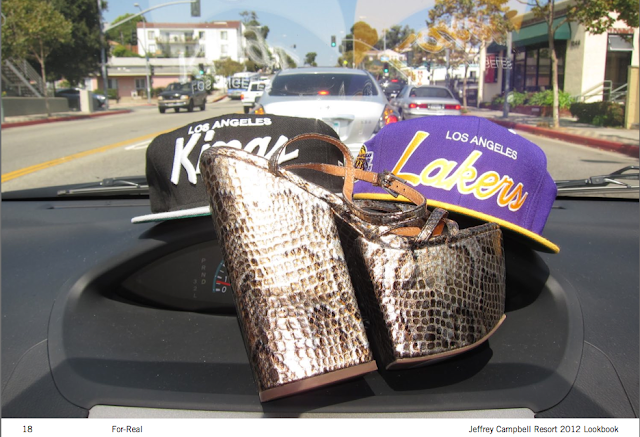 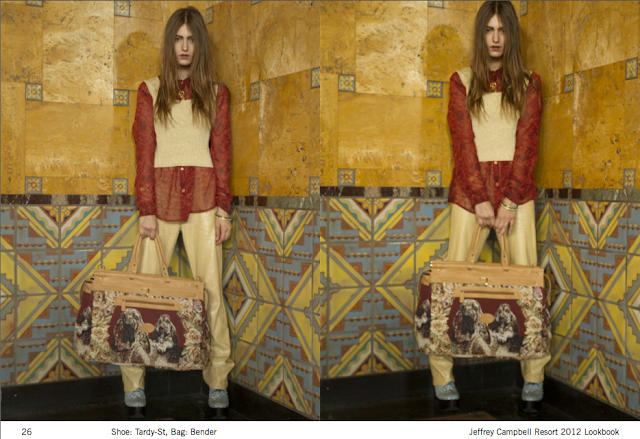 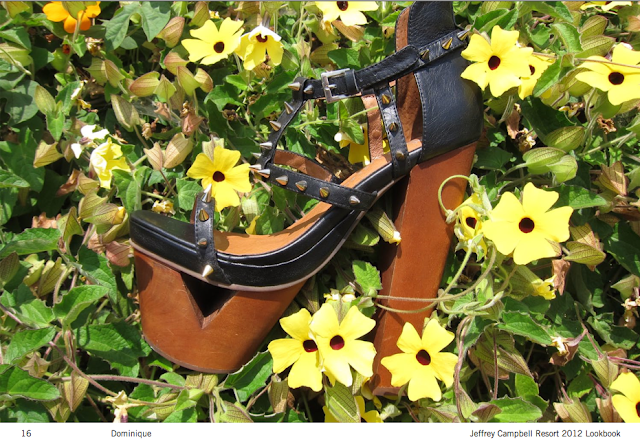 Jeffrey Campbell 2012 Resort Lookbook: A Love Affair With L.A! The lookbook highlights a number of iconic California hot spots, from Venice Beach to the Watts Towers. 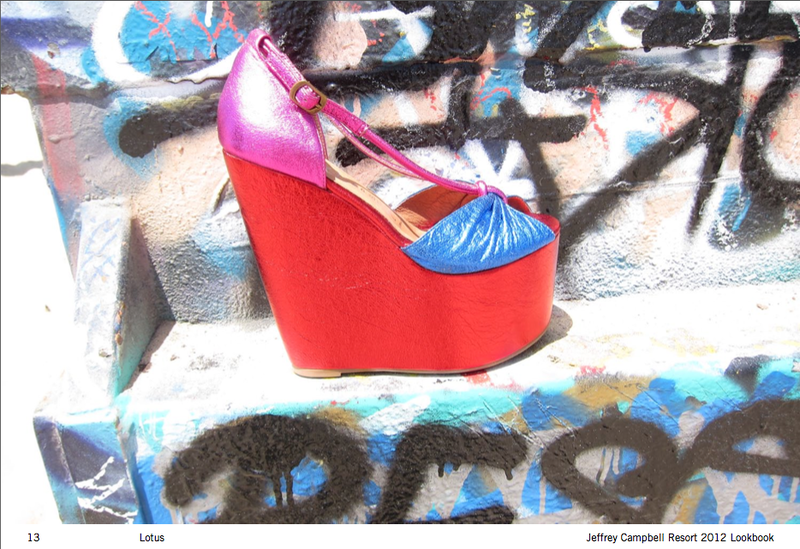 As expected, the new line is filled with Campbell’s signature 70s-inspired designs, fused with contemporary flare. Similar to what we’re seeing in resort clothing trends, these shoes sport a variety of bright colors and playful prints.